User Story Mapping is often described as an easy process and maps are created by simply working through the user’s journey. Sometimes it can sound simple, but at times you need to define the user’s journey. Occasionally you’ve had a developer, or project manager who has already defined stories and just wants to regurgitate this journey onto a plan and have everyone agree. This sometimes works, but more often than not other team members are left wondering about more details and features, problems, and most importantly, better solutions are missed. User Story Mapping is not just creating a map for the purpose of a great visual understanding, but it is also a great time to go over questions and really expose the plan. Critical thinking can be applied with great b0ons to any endevour and User Story Mapping is no different. Those working on the map should have a clear defined understanding who the users are. Who is the user that mapped this journey? How is this user different to other users? Do we need to expand our user scope at this stage? Understanding who the users are will provide that focus for complex design and if the user is an actual real user, then knowing this person will help with focusing the team to provide something for someone real. Defining what the user is doing with your project, app or endevour will be the main crux and defining question for all over User Story Mapping. What are the users trying to achieve? What do the users benefit over using your solution? What other solutions are available? Starting with an understanding of not only who the user is, but why this story needs to be mapped is crucial to have a worthwhile map. Asking questions to help the entire mapping team directs. Why does the story need to be created? Why does it need to be defined? Why would this information help decide scale and stability? Once you have the ideal persona, and the ideal customer or user you can create an epic from the persona. Label all your epics necessary to meet your users goals, but it is okay to keep them rough as you’ll be able to quick edit the table, adjust, delete and add more columns as needed. The StoryMap of Alex’s Morning with the Goals, Then Epics, then Cards. Then go deeper and refine each Epic into the cards. It is normal to be challenged with your first iterations with a User Story Map and it’s okay to continually develop them. Keep the users entire journey and story in mind, and don’t stop asking the questions, who, what , why? User Story Mapping is normally a technique for Product Development, but you need not limit yourself for just one task or function. Here we explore outside the box and look at applying User Story Mapping to product lessons, customer feedback, marketing strategies and even Christmas lists. User Story Mapping is most commonly used for software development. You are able to outline and see the bigger picture of your product. You can prioritise the user stories, identify the journey of your users and involve all team members to have a shared understanding. It is not just a tool that you use to outline the project, it is a technique applied to every step of the way. You can change, adapt, reprioritise, add further tasks, scrap old tasks, and so on. While ideal to sit on a wall in the office with post-it notes one large company has a large 75″ display in the office with their FeatureMap on display for all offices and departments. Moving to the digital has its benefits and allows all departments and those remote to the office to collaborate. In addition, you can allow your shareholders and in some cases, even your customers to get involved. 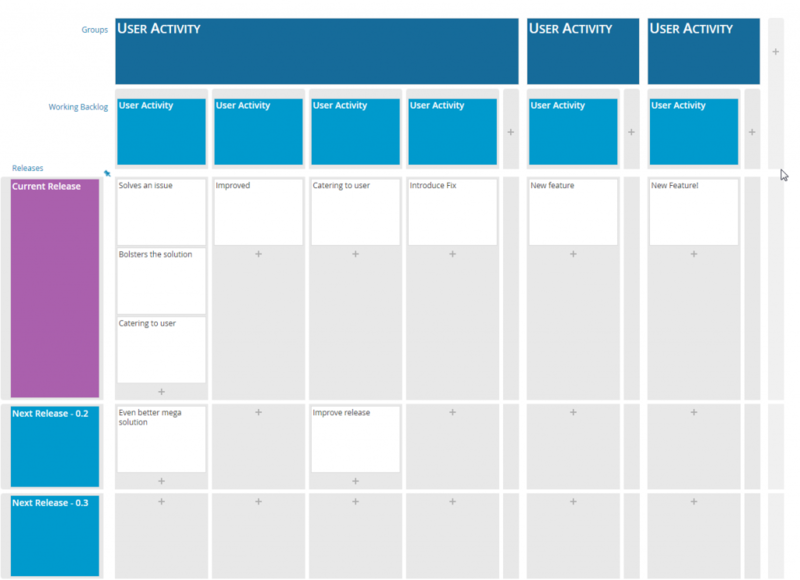 Using User Story Mapping here can help you outline the user journey. Define each step which worked, and highlight what should be removed or revised. Using layers you are able to prioritise your learnings by the impact on the user using analytics data, internal comments and observations, incident reports, and any further data or knowledge that can build a picture about your product and its presence. Your goal is not to create a product but to highlight the users experience to learn. Developing your map can involve the customer, allowing a public-facing map and open process you can get feedback direct from the customer. Taking suggestions, feedback and ideas from customers is the golden goose. We’ve all had the occasional user when you open up your ticket support system or email and in the inbox sits 10 emails all from the same person hammering feedback after feedback. These users are my favourite, and while initially a shock to the system, they offer the best value. Taking all feedback to build your User Story Map and highlight the pain points reported. Set columns for feedback, suggestions, bug reports and crashes. Again, do not set this as a product development map but a feedback map and this can help you prioritise your next steps for development and also feed directly into Product Lessons. When defining the user flow from a cold lead to a warm lead, add in tracking, and stages you’ll soon hit a complicated process. 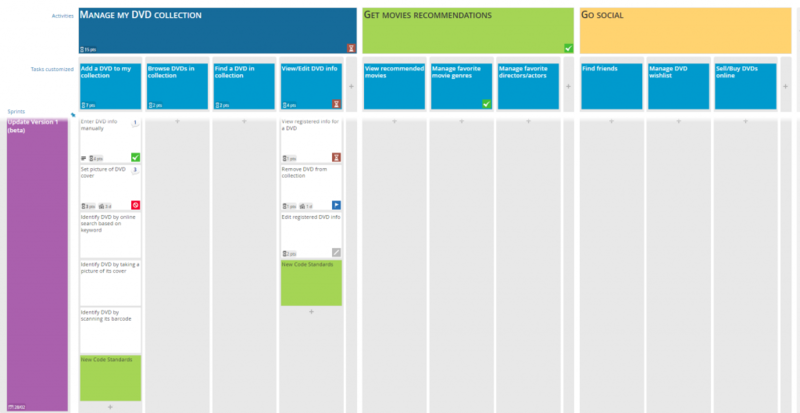 User Story Mapping, the super-hero of project management is here again. Setting our a User Flow from cold lead, to warm lead, to sign-up, to conversion can all be done with a FeatureMap. While mailing systems, like mail-chimp, can work exceptionally defining a campaign, following a user along a sales process (especially when plugged into marketing) is broader than MailChimp. A Marketing and Email example for a fictional product. Happy Holidays to you all, and time for a bit of fun, but an entirely function one. This year I was planning out what to buy my friends, family and fellow office workers and wanted a way to track what I had purchased. In some cases, I have commissioned artwork and needed picture frames and had presents that became a multi-stage process. I turned to User Story Mapping and whipped up a FeatureMap to help manage who was getting what! Do you use User story mapping for any other purpose? If you wish to try out FeatureMap.co it is free to use, and has a trial period upon signup of the premium features! A user story map is a method for visually covering a story, to help discussions, share understanding and can even be shared with customers. When building your story map, you should include all the relevant people, regardless of position, in the team. Due to their different foundations and interests, they will all offer unique and valuable points of view. A User Story Map is used to map out what you, as developers or managers think about when it comes to the user’s experience. One advanced tactic is to involve the customer with a customer facing Story Map. 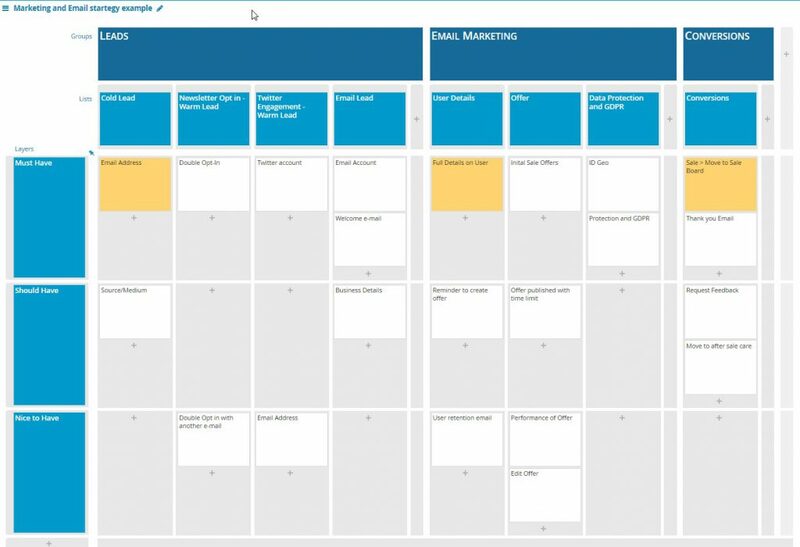 Customers have probably seen roadmaps but to truly involve a customer a back-log will always show more detail, yet a Story Map can show your progress with a beautiful planned out snapshot. Why use a customer facing Story Map? Story Maps are for shared understanding and can share a clear overview of the whole product or project. A tool such as FeatureMap, used to share your product design lends more value to the customer, as it is always online, available to view and offer feedback. 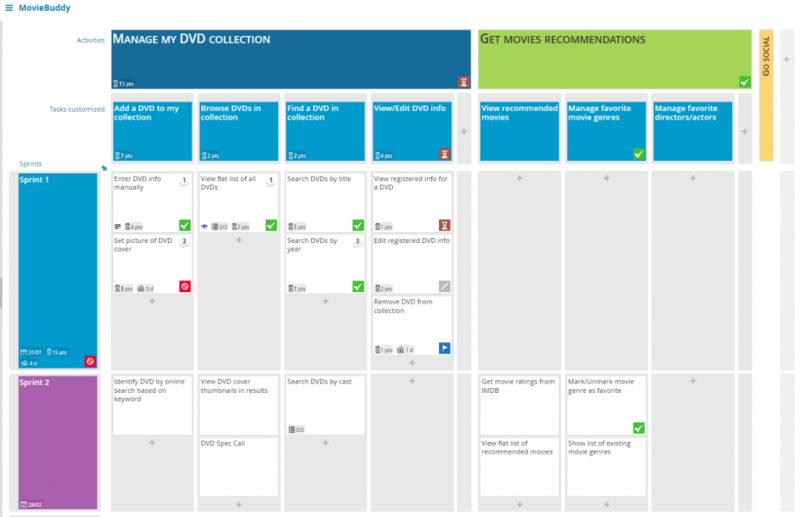 When should I use a customer facing story map? When sharing story maps with customers, it is important to iterate that a story map is not a roadmap, it is a living, breathing, evolving workflow. One day you may have features and functions set for the next release and the very next day it could be bumped up, down or adjusted. The value of such a map is measured not only in the transparency of your dev team and work, but the process of your dev team. In one such instance, we saw a knowledgeable member of the public witness a planned feature who then recommended an alternative method and offered code, for free. Through sharing your Story Map the project was assisted by a passionate user. Story Mapping evolves and changes. If your customers struggle with the methodology it is probably wise to have two maps, one for devs, and one for the customers. You can set one to private, for your team and shareholders who can work through it and have a public shared customer facing map which encourages feedback, and interaction. We advise experimenting with the entirely public facing single map first. As such we advise involving a customer as soon as possible. How to make the map public? Then below you’ll have your options pop up. 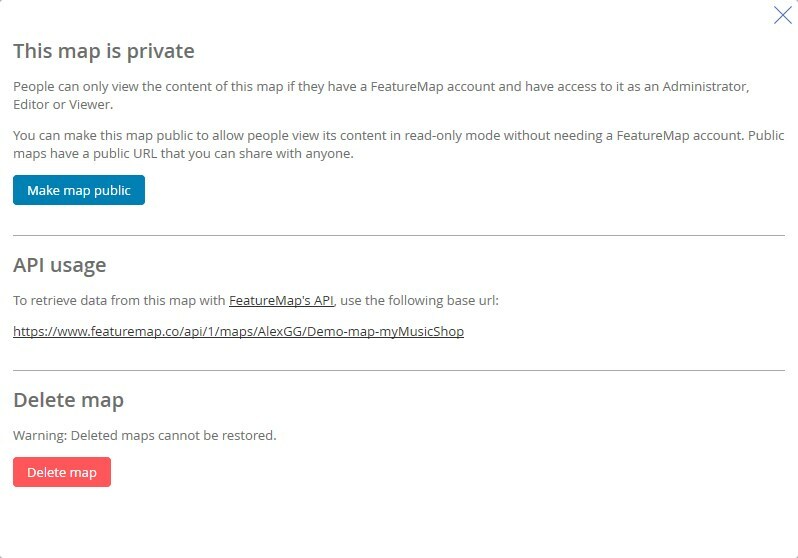 Here you can click “Make map public”. Do note you can click this button again “Make map private” to remove your public access link. Once public you’ll be able to share the URL and add this to your emails, webpage or direct as links. 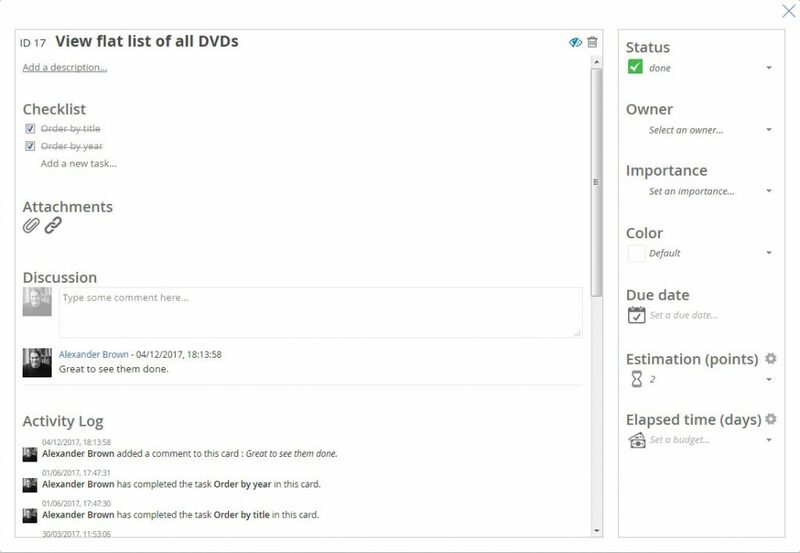 Creating your user story maps you will notice a few fields with due dates, importance, color, and custom fields which are default set to Estimation and Elapsed time. The custom fields have the option to be aggregator fields and the numerical value will add up with other cards in the column, task, activity. All these features and functions can help with building trust with your customers as you demonstrate transparency with your activities. Take customer feedback and deliver extra value by integrating their suggestions, ideas and changes into cards, sprints and allow those customers to see their feedback, in real-time, get integrated into a product promoting customer loyalty. You can sync your map with JIRA or import a snapshot of JIRA and edit it from that point. 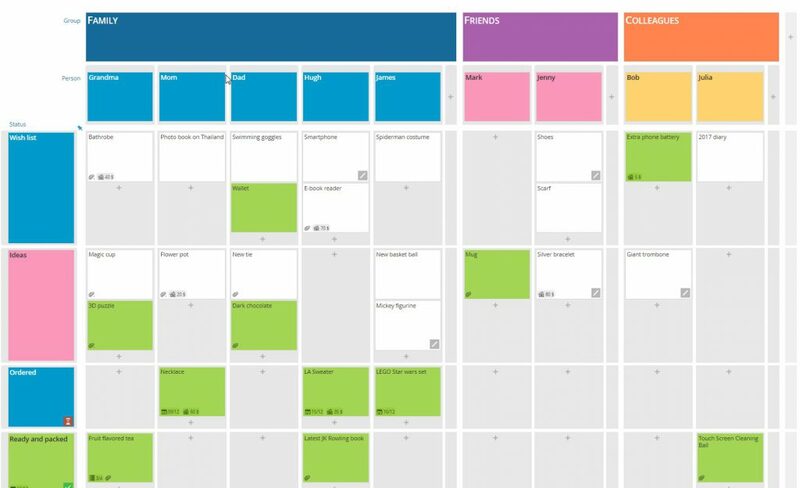 With your User Story Map integrated with JIRA, you can sync your tasks and display a beautiful map of your backlog suited for your customer facing interaction. You can get started with FeatureMap, and if you need more help or ideas, check out our 5 reasons to use User Story Mapping or a specific idea such as Feature Definition. 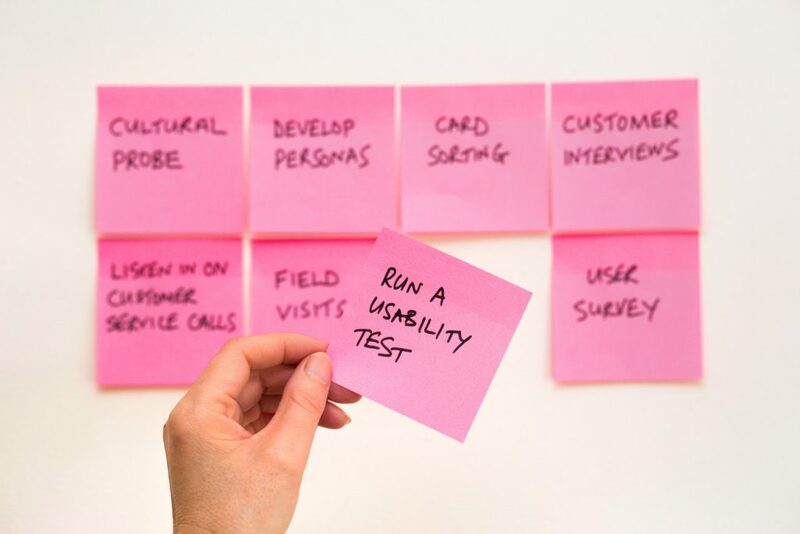 User Story Mapping can be regarded as a simple, or unsophisticated approach to software development planning, but normally this is because it is being utilised in a basic manner. All methodologies can be used as a sub-par process resulting in a simple outcome. Instead look at in depth. In essence, a simple story idea is; write something on a card, talk about it, converse and agree on what to build. Complete the build and move to the next. It sounds simple, but in a working environment, it is normally vastly more complex. Stories end up going through multiple processes, cycles and conversations. Stories end being created with 3 main needs. A card for the business, a card for the user and a card for the developers. Luckily User Story Mapping is something that can absolutely lend itself to this process. The user’s right size is a story or card that fulfills a need. 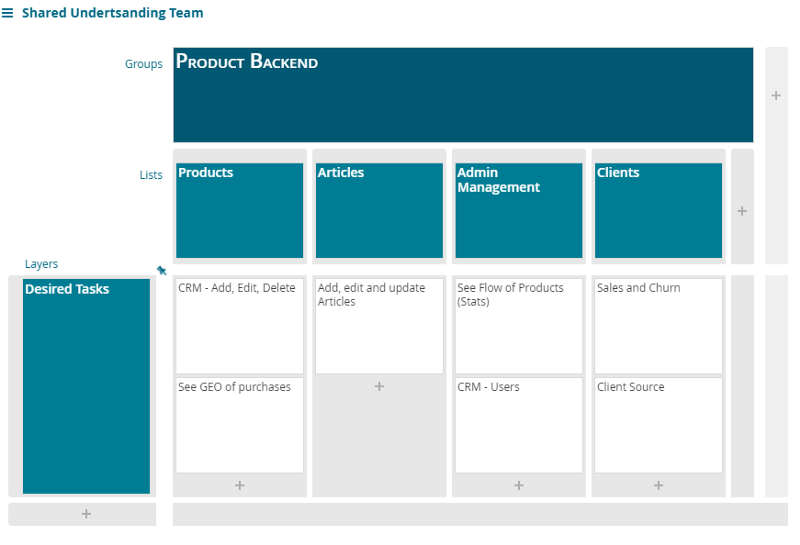 The businesses right size is a story which bundles features, outlines updates, themes or new products. First it is set-up as a Minimum Viable Product and following releases are the right size which helps a business achieve a business outcome. The developer’s right size is the most efficient for designing, building and testing. Big stories (or epics) can be broken down to smaller stories, and then again even smaller. Each sprint/epic/story/card can be defined for each group but no matter the size, they are still a story. To break down larger stories, use conversation. Conversation is one of the best tools for breaking down big stories. When you discuss, break down each story until it fits the “right size”. Each size will vary from business to business, and project to project, so don’t define too much. Use conversations to allow you to naturally identify the “right size”. Who the user will use your solution. How the user meet their needs without your solution. How it would change with your solution. How your solution would look and function. How long will your solution take to build. Even after your discussed discovery session, don’t stop talking, dont stop collaborating. With each step, each conversation will have different teams and different conversations, in particular, the main three, so do note each evaluation will vary. Yet with each conversation, each meeting, each get-together, this can lead to slow down, so be aware of how you plan your meetings. With FeatureMap you are able to construct your maps and have constant, flowing conversation on each card, story or epic. Have your entire team chime in, discuss and do so remotely. Allow this process to be part of the working stage eliminating unnecessary meetings for all and saving time and money. With each card, story and sprint you design and build, every single card will have consequences, re-explore these, discuss them, confirm them. Conversation is King with User Story Mapping. It can be a nightmare when planning out a project or joining a team to plan the project and you are met with Word documents. It is even worse when the customer and your team are expected to settle on the design outline of a word document with no future changes. Requirements always change as customers and teams discover more about their project as it progresses. Expectations change, development requirements are adjusted, improved upon and developed and tracking all these changes in a Word document leads to madness. User Story Mapping is a clear-cut methodology that let teams plan software releases that create visual maps of customer requirements. User stories are typically written on sticky notes or developed on a virtual map with absolute collaboration. (FeatureMap). 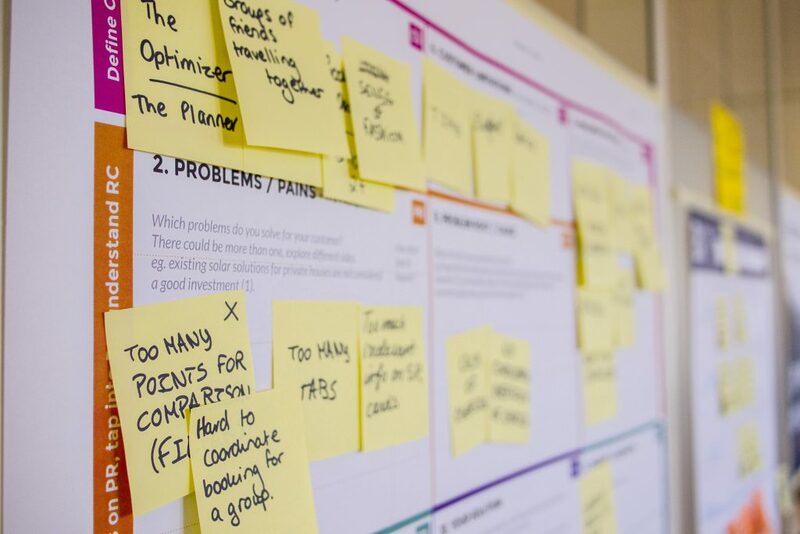 Here are five reasons why you should utilise User Story Mapping for your next project. 1. Prioritize the most important requirements. Story maps let teams identify the really important reuqirements, and then allows the team to real-time amend and edit the map with development and feedback. While doable with sticky notes, the interactive collaboration of FeatureMap allows on the fly editing and at a glance live progress. With a story map, teams can prioritize the most important features first and deliver code based on the prioritized features. Built in sprints allowing a basic MVP program to be released before moving into sprint 2 and building the next product. 2. Enforces task separation to encourage smaller sprints. Cards and Post-it notes have literal maximum space. A good habit is born and can be utilised for your User Story Map creation. You have to be brief in the requirement description. If the requirement description is too complex to be stated on a single card, simply break it up into two cards. Create to functions, two tasks which can be split (if required) into multiple sprints. This again allows the project to be refined and delivered on time with clarity and simplicity. No more twenty page documents! 3. Communication with the stakeholder. 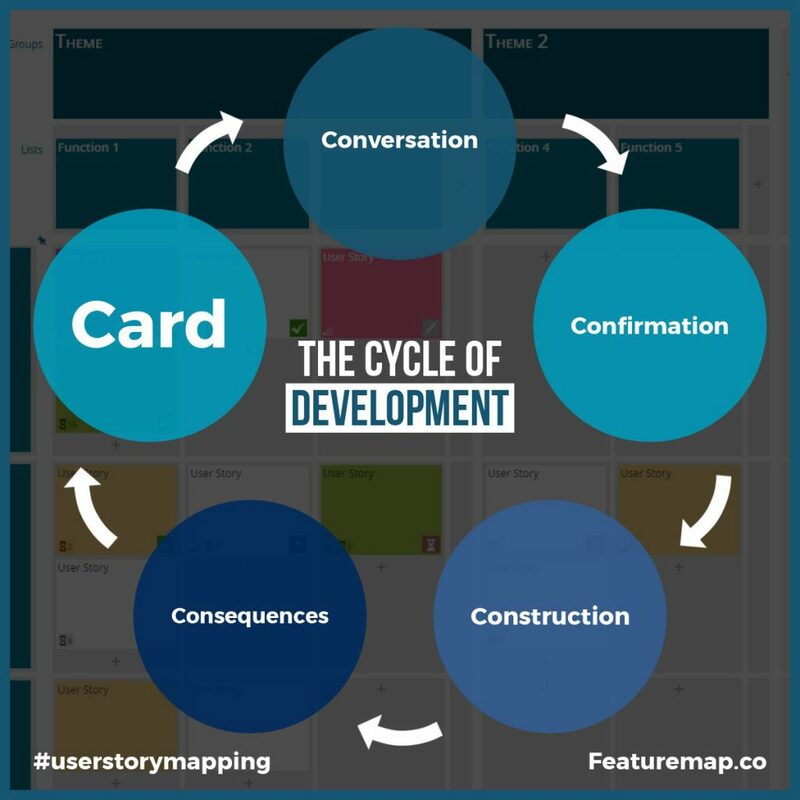 User Story maps aid with communication with the customer/stakeholder. Each customer requirement is then aligned with a task or card, the customer can understand at a glance what functionality will be delivered with each sprint and release. With FeatureMap you can create a map for your development team, and share it publically to those with the URL link, the customer will see, real-time of your development map. Alternatively, you can create a map from a map (like cloning) and then share that map as a “snapshot” of the progress. And of course, you can export the map in a multitude of ways. If the customer wants a feature delivered earlier, the customer can see which stage the feature or card is in and if involved in the process can adjust the map. 4. Communication with the team to help define and manage trade-offs and objectives. Potentially the most important benefit. 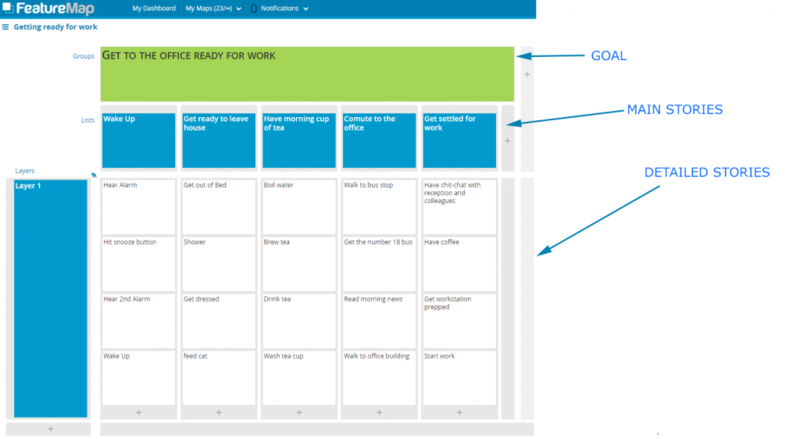 Using a User Story Mapping map will boost communication and discussion. Visual thinking is common in approximately 60%–65% of the general population, leaning on statistically your team will benefit too. Having this visual aid and 2D map will reveal questions of all participants in the early phases of the project, which will lead to more quality and faster product backlog creation. This will allow you as a Project Manager to keep on top of trade-offs and manage features and the project objective. A story map can focus the stakeholder and team to see a snippet. It can reduce that 200-page word document of completed tasks, or charts of completed tasks to a visual map of completed sprints and planned development. 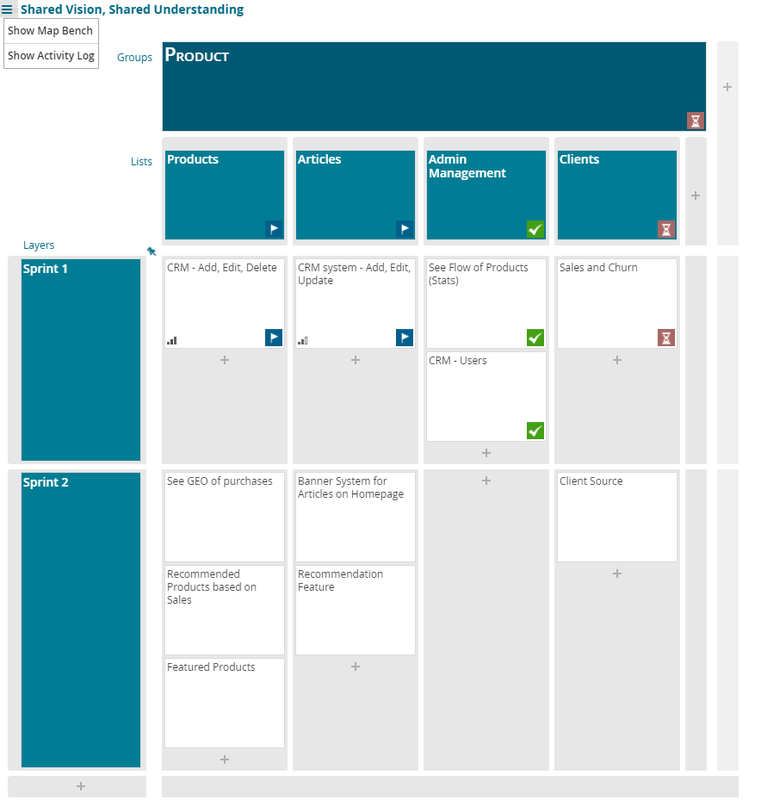 The focus is smaller and the stakeholder can visually understand the requirements being delivered in the first release, second release and subsequent releases. The stakeholder can pay more attention to the relevant requirements (and requirements always change). The customer here can see the current release and the solving of an issue, but can also tell at a simple glance that the “even better mega solution” is in the next release. User Story Mapping can be utilised in a multitude of ways. Project Managers can step in and compliment their planning with a digital version of User Story Mapping and work with the team, developers, customers, and even users for feedback. If you want to learn more about building a project we recommend “easily testable” to “useable” then to “loveable” rather than building a broken bike in all stages. Read more in our Idea to MVP. If you wish to learn more about FeatureMap check out our Intro to Story Mapping – RoadMap. When working with a large organisation it is not uncommon for everyone to picture the product in different ways. When you have multiple smaller teams come together to create a product, each team can have different requirements. This can clog up development and in some instances waste time, building the same features in multiple different ways. A few years ago I was assisting in the development of a now-popular mobile app. The team of designers all had different ideas on the end goal and it wasn’t until we mapped the entire user story that this was realised. The managers wanted to see a CRM in the backend that would allow them to see the flow of products and users and to manage the support workers and content creators. The content creators wanted to have a CRM in the backend that allowed them to edit, create and update articles and products. The sales team wanted to have a map system that would allow users to find a product based on location. When we put all three together we could see an overlap of two different CRM systems and a product completely overlooked by the other teams. Mapping your story helps you find holes in your thinking. When we set out and built an entire wall, it was clear that each team had a different idea. Once they were able to list each card across the map, teams merged ideas, worked on the initial idea and framed the entire product. Once the ideas had been merged, expanded and realised, the team was able to expand their understanding to a shared understanding. The team were then able to split up their design into a minimum viable product that successfully achieved the desired outcome. Sadly, it was realised that months had been wasted on planning features of a project with no compatiblity with the rest of the team. Fortunately, when creating their product on FeatureMap (even linking with remote team members across the world) they were able to hash out a new plan and deliever well within time. Mapping your story helps with shared understanding.